Prof. Dringenberg has taught Foundations of Design at the HfG Schwaebisch Gmuend University of Design since 2007. Upon 2008 he was head of the communicationdesign department (until 2015). He has made a name for himself in the areas of dynamic and interactive media as well as in the design and development of media systems. He was co-initiator, curator and designer of the already frequently displayed and distinguished retrospective exhibition, Moving Types. His focus for instruction and research comprises visualization in dynamic and unstable media. Dringenberg is an established media designer who also has comprehensive experience in economics. Upon finishing his Visual Communication course of study in Gmuend (1984 to 1989) he initially worked as a freelance designer for AEG Lighting Technology, Alcatel, Bosch Rexroth Group, Hewlett Packard and IBM, among other companies, and often in cooperation with prestigious agencies. Since the end of the 1990’s he was also a lecturer at different Universities of Applied Sciences in the area of design foundations and interactive design. 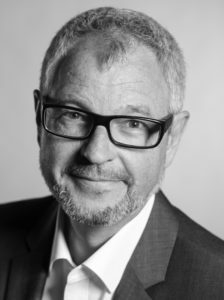 In 1996 Dringenberg was already co-founder of the company Streamdesign, which was involved in the design and development of interactive communication systems based on internet technologies. In 2001 he founded Visication, a company for the development of systems for real-time visualization of audio events. He is a patent holder, researches and implements projects for museums as well as for the film and media industries. In 2003 Dringenberg was appointed Professor of Mediadesign Foundations at Mainz University (until 2007), and as of 2005 he was the acting director of the Institut of Mediadesign. Together with Prof. Anja Stoeffler (Mainz University) he also directs the z zg – Zentrum Zeitbasierte Gestaltung (Centre for Time-based Design), which he co-founded in 2010. Since 2015 he is the Rector of the HfG Schwaebisch Gmuend University of Design.